When technique and talent get entwined with heart and soul, it exists in human form under the name Gary Clark Jr. 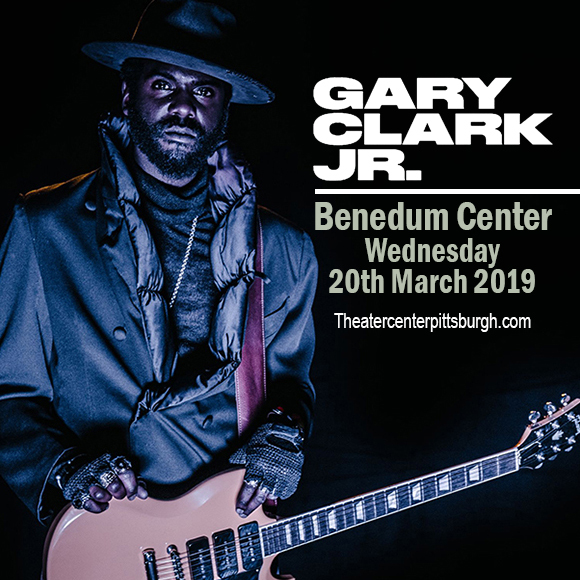 Experience his music live and in the flesh on Wednesday 20th March 2019, at the Benedum Center. From the music mecca of Austin, Gary Clark Jr is now touring and spreading his soulful vibe in key locations all over the country. Just like a troubadour, he draws in a growing number of followers who leave nothing to chance in catching his live shows. A substantial number of tickets sales are coming in, so it is possible that tickets could be sold out soon. Booking is a breeze, just click 'buy tickets' to secure your space in this awesome concert event. Gary Clark Jr honed his guitar chops by jamming among his music circle, doing the round of Austin bars, and eventually headlining shows at prestigious venues such as New York's historic Beacon Theatre, Philadelphia's Metropolitan Opera House and Ryman Auditorium in Nashville, Tenn. Music critics and reviewers were quick to notice, with Rolling Stone naming him the “Best Young Gun” in rock back in 2011. He has four studio albums to his name, including Blak and Blu (2012) and The Story of Sonny Boy Slim (2015) — spawning singles bearing his trademark blues-rock sound like "The Healing," "Things Are Changin'" and "Don't Owe You a Thang." He solidified his reputation and artist credibility in 2014 and 2015 when Clark took home the Blues Music Award for "Contemporary Blues Male Artist of the Year." And another cool factor to add to his impressive resume is his redition of the Beatles-classic "Come Together", which was part of the Justice League Movie Soundtrack. Don't miss this rising star and let him take you on a quiet storm that would blow you away. Get your tickets now!